The brand CarsAddiction was started in winter of 1997 by Ryan, a car obsessed kid spending his weekly allowance on matchbox, hotwheels, burago, maisto models and a year subscription of Car & Driver magazine. 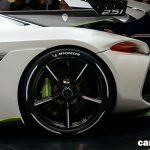 Shoots – Photographs as I go on my travels or attend events along with photographs of my own cars and those of my friends; whether it’s a quick shot, a review or an exclusive behind the scenes from one of our private meets. 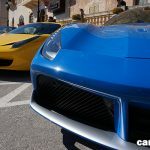 Supercar Spots – Exciting cars I spot on the streets of London, Paris, Monte Carlo or anywhere else I go on my travels. The supercars include Paganis, Bugattis, Ferraris, Lamborghinis, exclusive special editions, you name it and you’ll probably find it on my channels! Events – Public events across the world; supercar meets, club events and track days. I keep highly involved in the car scene and go to many events, from the Goodwood Festival of Speed to the local Ferrari and Lamborghini blasts. Showcases – In-depth videos of particular cars of interest, including rides, fly-bys and other clips as part of planned video shoots. Motorshows – New and concept models at the world’s major motor shows including Geneva, Paris, Frankfurt, Top Marques Monaco and Dubai! The content is created with an honest and personal touch that is not found elsewhere to connect with fans, friends, followers and partners via many social media streams, and in particular YouTube videos. A lot of time and money is put in to keep the website up and running. And all we ask is for you to share the content with your friends and family. We also encourage you to visit our shop page for interesting products and services for you or your company. Alternatively feel free to donate any amount through the below gateway. Hi! I’m Ryan, the founder of carsaddiction.com. This website is my way of sharing my love for cars in combination with my knowledge of web development. 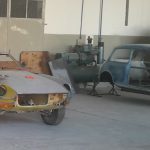 On this site I share vast information on car manufactures and models, to random car articles that I publish from time to time. My childhood was lived in the big apple New York, USA: midtown Manhattan not so far by the New York International Auto Show which my dad took me every year. Later in life we moved to a complete environment and continent, Malta to cars I never heard of or could even pronounce well, Peugeot geing one of them. I spent most of my free time either reading car magazines or front of a computer learning to code (BASIC, COBOL, HTML, Visual Basic at that time) or photoshop (Corel, Macromedia at that time), modifying hardware, car memorabilia collection and learning the skills that would make me the nerd that I am today. I have owned many different cars, mainly Japanese makes. All of the cars he has owned are discussed here! The Car Website idea all started in 1997, the age where Google was never heard of (I remember using Altavista a lot), magazines and car manufactures had little or no online presence. The concept was simple to provide information, links and photos of car related material for free to the public, and emerged with a website called Exotic Cars on Tripod hosting. After two years, and with the regular income I have decided to search for a catchy domain name for my website and came up with R-Spec. The second variation, R-Spec included a big upgrade and covered 100 cars and included a couple of articles covering local car shows. Since then I’ve moved out of my parents house, attended university, bought my first car, and help out with a local car club which left me little time to keep my personal website updated. 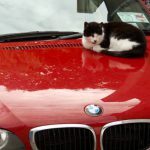 While on a solitary holiday in 2007 and my new knowledge of dynamic websites I decided to revive the car website concept and re-emerged as CarsAddiction.com.